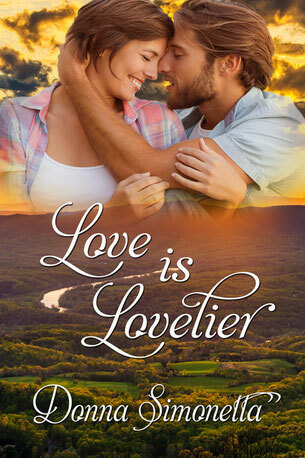 We’ve brought the ladies of Rivers Bend, VA here today to tell us what it is that makes Mick Evans, of the new release in the Rivers Bend trilogy Love is Lovelier, so dreamy. They’re a lively, outspoken bunch, and Heather has mixed up some cocktails for them, so this should be interesting…. Q. Heather Braden, since you have a long, complicated romantic history with Mick, let’s start with you. What attracts you to Mick? (Heather squirms in her seat and her cheeks flush. She attempts to laugh, but it sounds a mite hysterical). Attracts me to Mick? Whatever makes you think I’m attracted to Mick Evans? 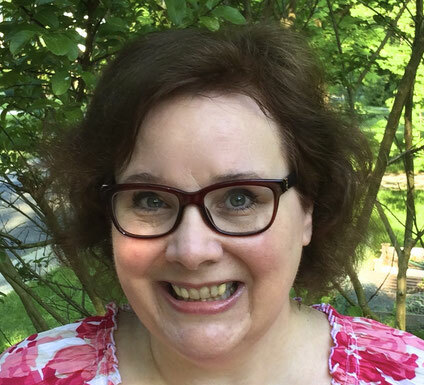 (Bethanne Cardoso, one of the town librarians, and Heather’s oldest friend, flaps her hands dismissively) Bless her heart, Heather is so far down the River Denial on the subject of Mick that she can see the pyramids. We can tell you about him. First off––he’s handsome. (Deidre Anderson, Heather’s older sister, interrupts) And hot! Like surface of the sun hot. (Bethanne nods in agreement. Actually, there is a general murmur of agreement from all the women, except Heather. Bethanne continues) He’s tall, a former NFL player, so you know he’s built! Brown hair, amber eyes, cheekbones so sharp, you could cut paper with them. He’d almost be pretty, if he wasn’t so masculine. (Magda Horvath, fiancée of Heather’s brother, Jeff takes a sip of her cocktail, and says dreamily) He’s all man. You know what Mick reminds me of––the male cover models on romance novels. (Mrs. Wilson, elderly housekeeper of the Retreat at Rivers Bend, where Heather and Mick both work for her brother Jeff, looks thoughtful) He is all that they say, but what I like most is the way he dresses. His suits are all custom-made and fit that hard body like a glove. (The other ladies all laugh, and Caitlin Anderson, Heather’s college-bound niece shrieks in horror) Mrs. Wilson! What are you doing looking at Mick’s hard body? (Mrs. Wilson rolls her eyes) Please, child, I may be getting a little older, but there is nothing wrong with my eyes, and that man is fine. (Heather bites her bottom lip, and makes her first contribution to the discussion) There’s more to Mick than his looks, you know. He’s smart––he went to Stanford University, and he’s done very well in the business world since his knee injury ended his NFL career. (Bethanne inclines her head) You’re right, Heather. There is more to Mick than his oh-my-gawd hotness. My husband and I have a baby son, and Mick is terrific with him. Whenever I see that big, strong man holding baby Cisco, I melt a little inside. He’s so gentle with him. (Joyce waves her hand dismissively at Heather) You can’t help but notice, honey, I’m sorry. What I was going to say is, he’s so serious. When you first meet him, you don’t expect him to be so good with kids, or to have a sense of humor. But he does. He’s a lovely man––inside and out. (Caitlin interrupts) He drives that cool convertible! (Heather smiles at her niece, and continues) He does have a smoking ride. And he can cook, which is bonus for me, since I survive on takeout. He doesn’t let himself get close to too many people, but once he does, there’s nothing he wouldn’t do for you. Any woman would be lucky to have him. Hmm…sounds like Heather might be ready to give in to her feelings for Mick? Will things work out for them? Read Love is Lovelier to find out! Thanks for letting the women of Rivers Bend and I visit today, Kay! As you can see, they loved the chance to talk about Mick to your readers! I am thrilled to have you and the ladies here! Mick sounds like the complete package. Great fun interview! Mick is definitely a keeper. Best of luck!